The Kahakai (Near the Ocean) Bungalow is an air-conditioned* 2 bedroom/2 bath home which can accommodate up to six (6) guests. The home includes a dining area, a fully appointed kitchen with granite countertops, two bathrooms with beautiful slate floors and walls. A queen-sized sofa bed is located within the family/living room area for additional sleeping accommodations if necessary, along with a high-definition flat screen TV, cable, and a stereo system. The master bedroom area has a king-sized bed and a flat screen TV. Bedroom #2 has two twin beds. 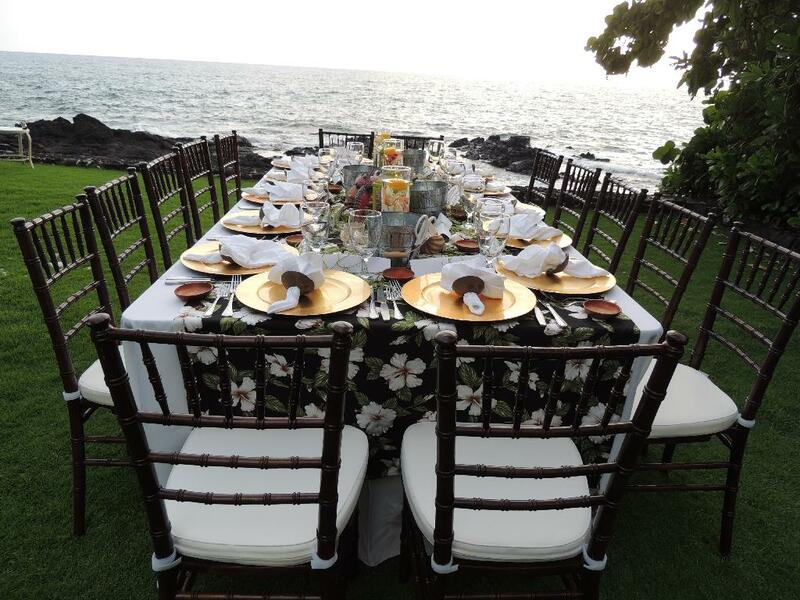 Kahakai guests are invited to share the oceanfront pool, jacuzzi and common grounds. Laundry facilities are available on-site. Activities and adventures await guests of the Kona Beach Bungalows! 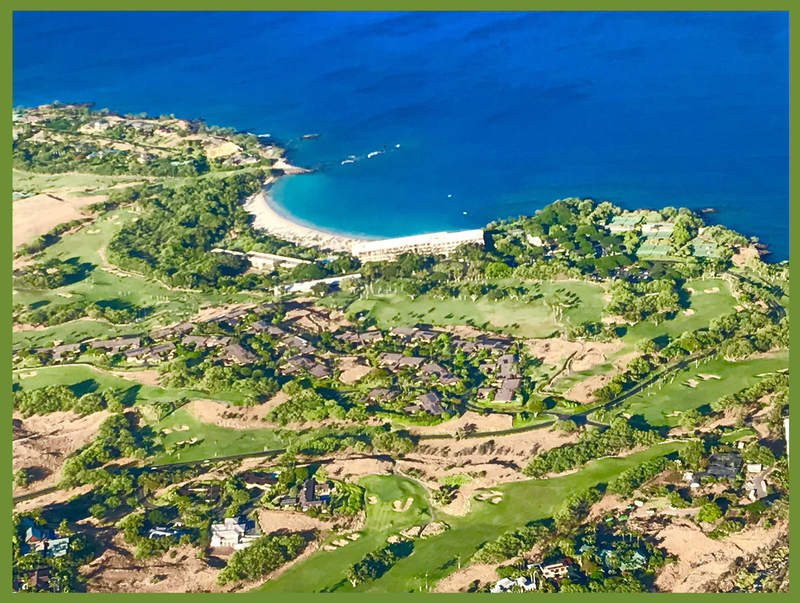 Just minutes from a wide assortment of restaurants and shopping, we are a great home base from which to explore the many wonders of the island including Volcano National Park, Mauna Kea Observatory, coffee and macadamia nut farms, artists' communities, zip-lining, and so much more! Several beaches known for snorkeling and surfing are just down the road. Directly across the street from our property gate, "Alii Gardens Market Place" offers exquisite handmade gifts and fresh local produce. Nearby, you will find Hawaii's best SCUBA diving, big-game fishing, kayaking, dolphin and whale watching, sunset cruises, and other ocean activities. Want to take your experience to new heights? Why not go parasailing, or tour the island by helicopter? Blue Hawaiian Helicopters offers our guests incredible options for exploring The Big Island from the air! Our Kahakai bungalow accommodates a maximum off four (4) people. Smoking is not permitted, and we do not allow pets. A cleaning fee of $480.00 is charged per reservation, which includes pre-cleaning on your day of arrival, and extensive cleaning after departure. Due to the staggering cost of electricity in the Hawaiian Islands, we charge a supplemental air-conditioning fee of $49.00/day during summer months. All reservations require a deposit equal to 50% of the total booking fee, in addition to a refundable security deposit of $500, and a $89.00 non-refundable booking fee. The balance (remaining 50% of the total booking fee) is due 120 days prior to check-in. 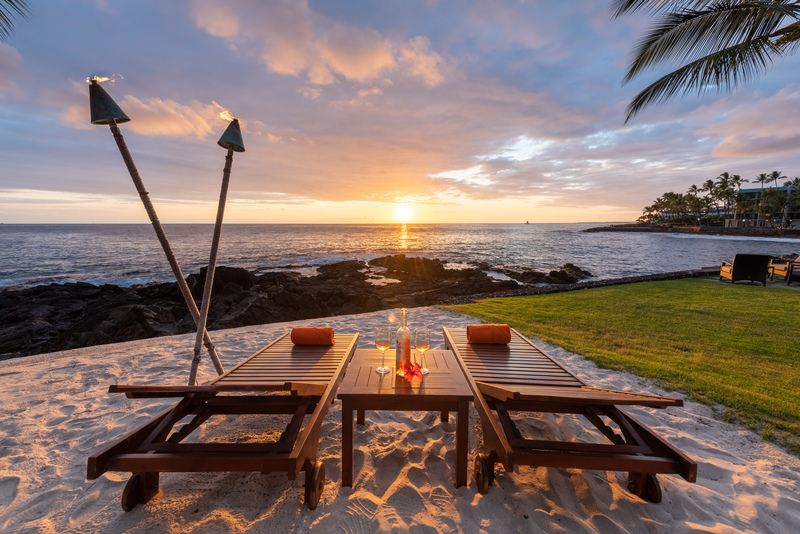 On Hawaii's Big Island, our vacation rental home is conveniently located just 1 mile south of downtown Kailua-Kona on Alii (Ah-LEE-ee) Drive, a scenic waterfront thoroughfare nestled between rows of souvenir and curio shops, sidewalk cafes, and a long lava rock sea wall. 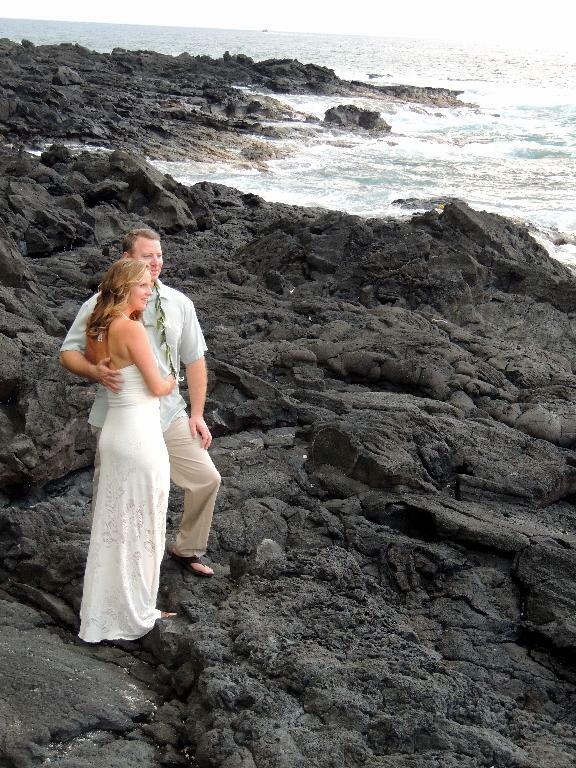 We are also just 7 miles south of Honokohau Boat Harbor. Directions from the Kona/Kailua Airport: After exiting the airport, turn RIGHT onto the main highway toward Kona. Turn RIGHT on Palani Road, which becomes Alii Drive. Prior to occupancy, we will e-mail the exact address, gate entry code, and the location of your bungalow(s) within the property.